I was flicking back through old copies of Making Cards Magazine and found this lovely bright floral paper. I remember liking it at the time ii first read the magazine but not being able to see how to use it as a background, but the pattern is too big for it to be a topper, for my tastes. 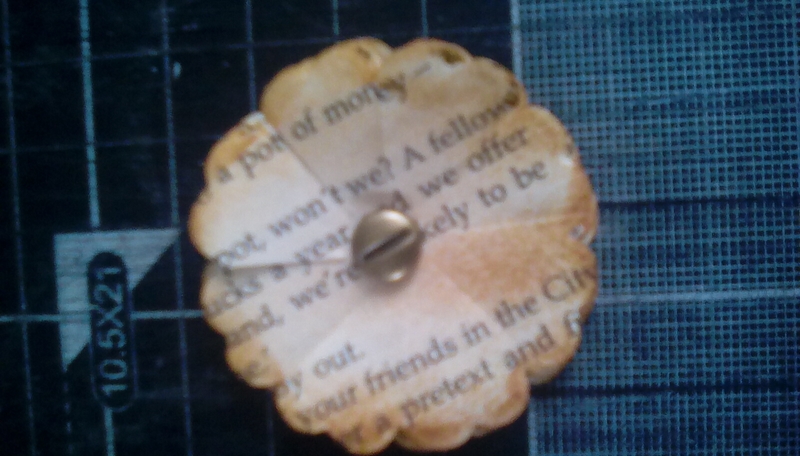 The sentiment was from the same issue, a watercolour splash which ii due cut into an oval. 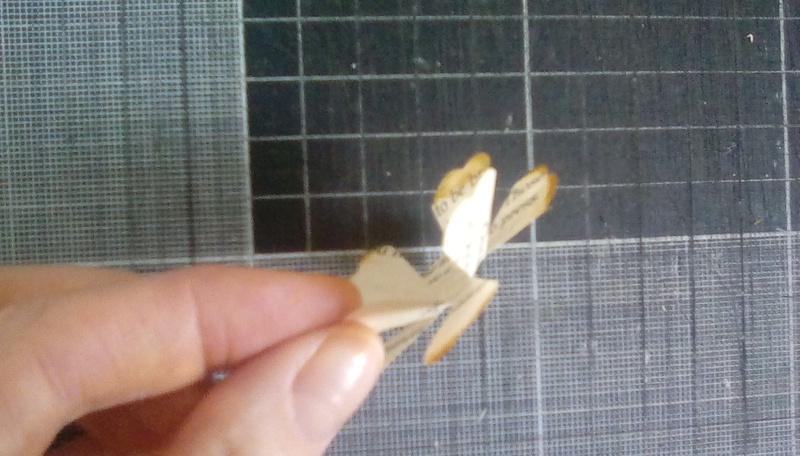 At first I tried the paper as a single layer background, but it was a bit bland despite the bold pattern. The crochet lace lifted it, but not enough. Hmmm. What to do. 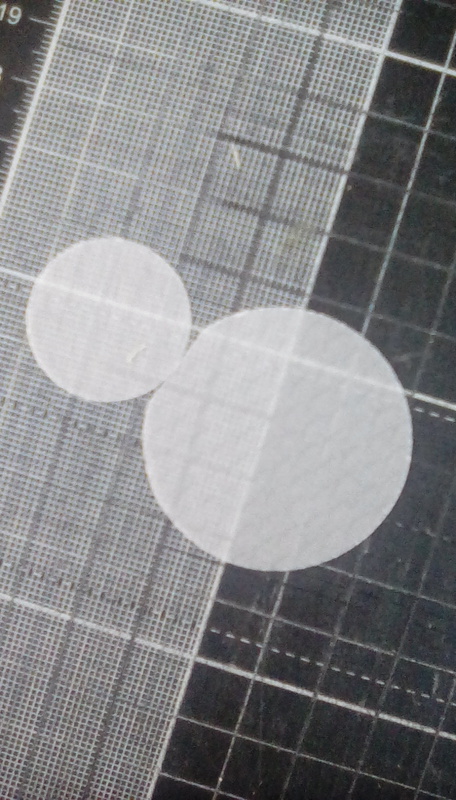 I used a craft knife and my cutting mat to cut a rectangle out of the paper, leaving a 20mm border all around, then again out of that second rectangle, again with a 20mm difference. 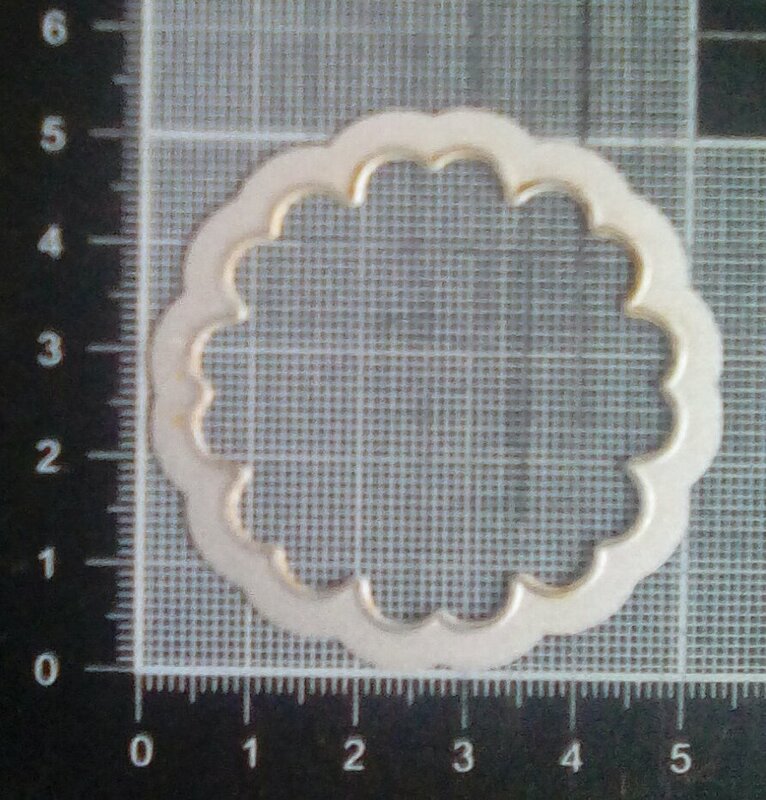 I matted each rectangle onto a piece of kraft card, leaving a 2mm border all around. 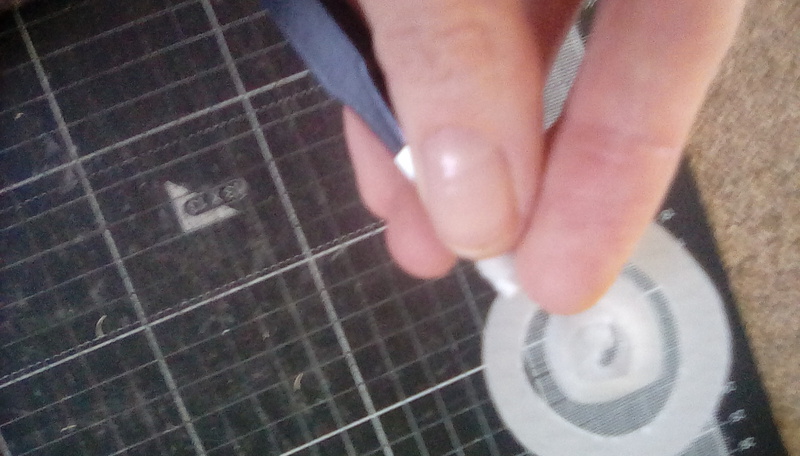 Then I rebuilt the original image, gluing my layers down. A piece of white crochet lace across the middle softened the patter and helped provide a focal point for the sentiment which I put centrally. 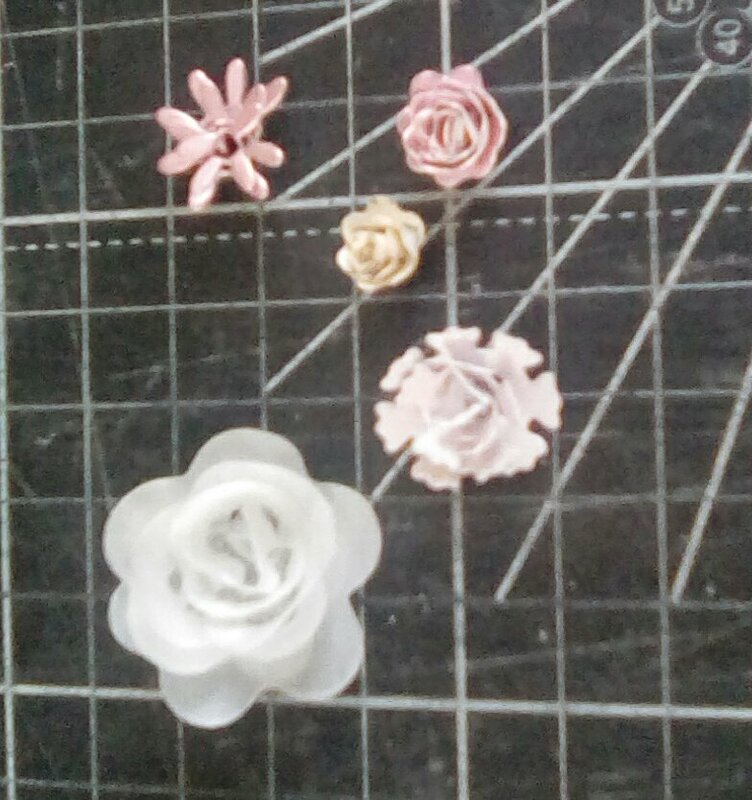 Finally I added Glossy Accents to the centre of the bottom right flower. What do you think? 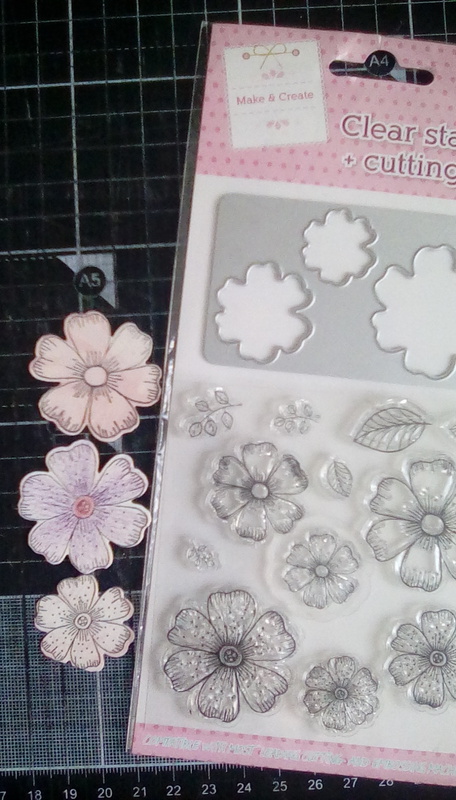 I really like how the patterned paper gets to take centre stage, I’ll definitely be using this idea again. 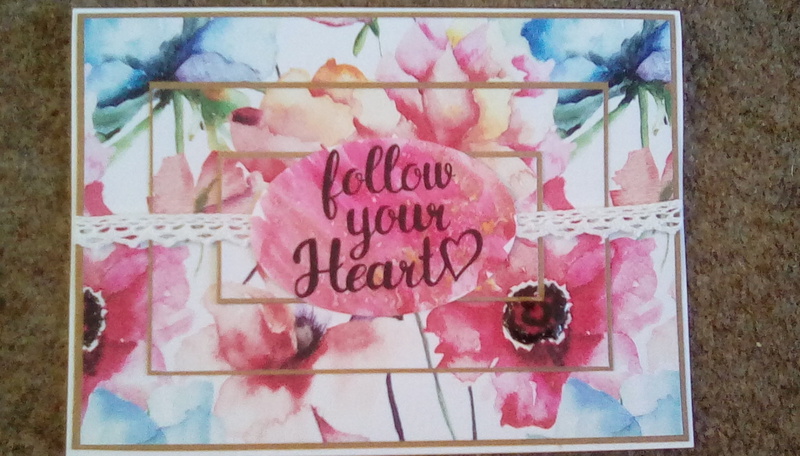 This entry was posted in cards on May 30, 2017 by Isn't She Crafty. 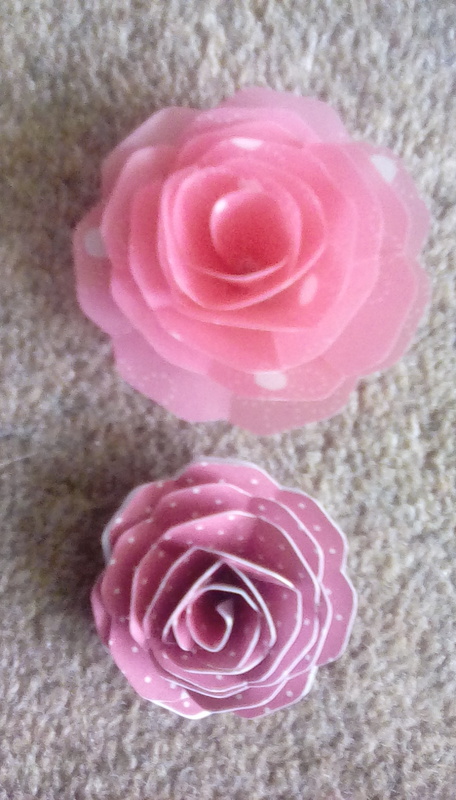 I try and try to aim for CAS cards and fail every time, so I thought this time I’ll talk about the opposite, the times I make pretty, fussy cards with flower embellishments. 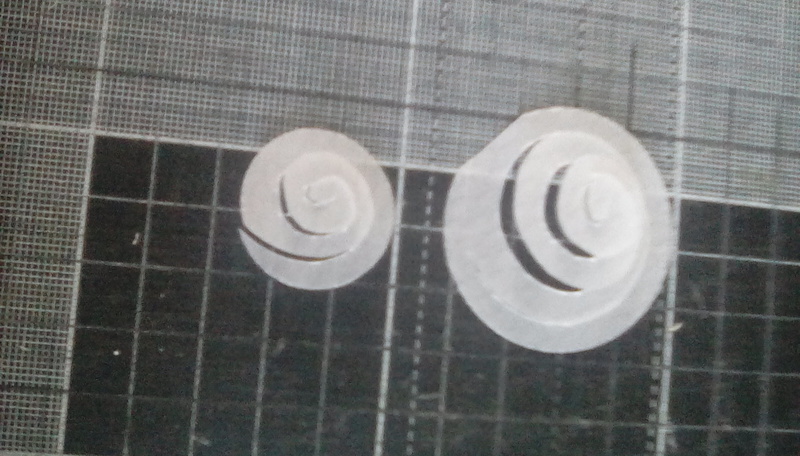 Cut petals. Be careful to leave an uncut area in the middle. 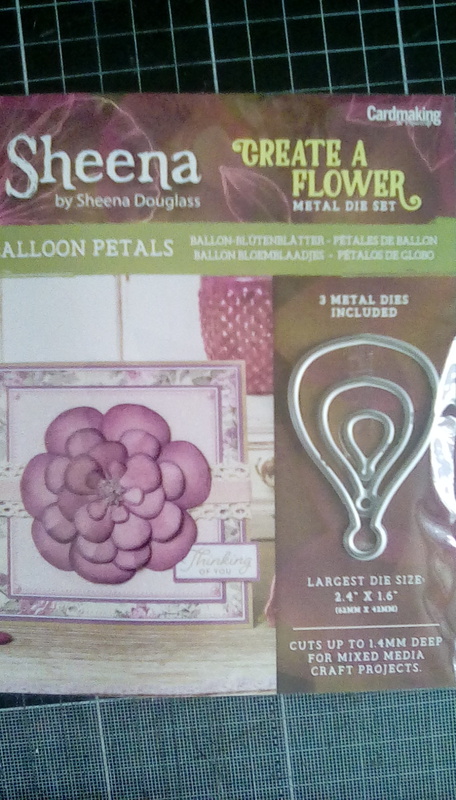 This entry was posted in craft on May 12, 2017 by Isn't She Crafty. I have talked in a couple of recent posts about the sequined sequin card from Create and Craft and how I’ve always used it in small quantities as wow accents on cards. This card collection is so blingy and gorgeous, but I find it a little intimidating. I set myself the challenge of using sequin card as the main focal point of my card. 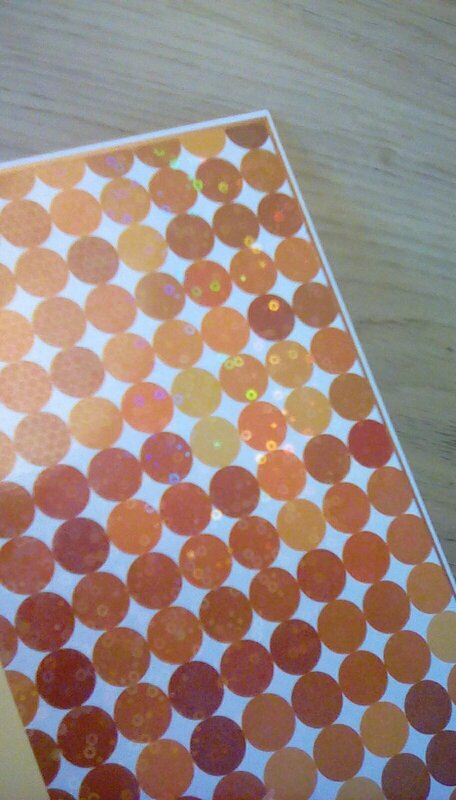 I am not an orange or mustard colour girl – redhead, it clashes – but I do love this very 1960s/70s dotty pattern and the colour is really striking. I had chosen the card, but had no idea what I was going to do with it. A quick look on my Pinterest card sketches board and I found a nice, simple layout which I decided to play with. I am sorry, the sketch has got lost in my 1000+ pins and I can’t find it. 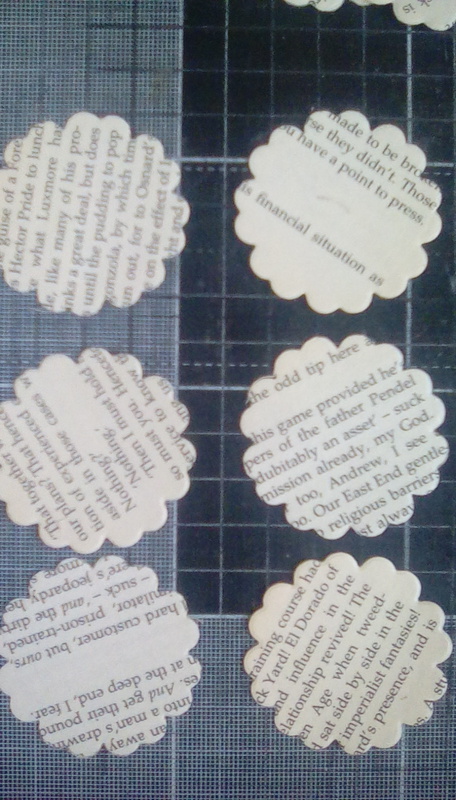 The design called for three ribbons of some description up the left hand side of the card. Because of how detailed and ‘big’ the main card was, I wanted to keep accents more subtle. 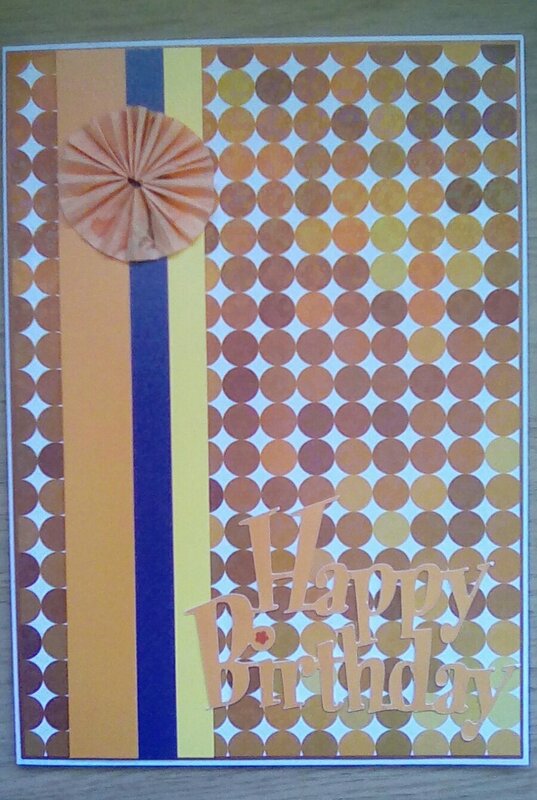 I have a pack of pearlescent Hunkydory Adorable Scorable which had an orange and a yellow which were really good matches for the tones in the sequined card, but I struggled at first to find a third colour and it loomed a little bland. I tried several colours against the card until I came across this purple blue from the same card pack, and I really like the contrast. I wanted a very big statement sentiment. Originally I intended it to be in the purple blue, but it was much too heavy and dark. I kind of like the orange; who knew a bright orange could be subtle?! The rosette was added because I found the card a bit bland without something to decorate the top, as was a sequin to the ‘I’ of birthday. 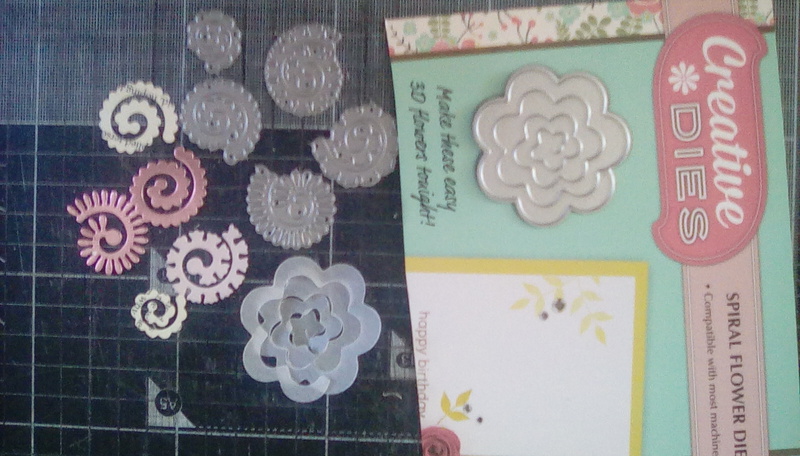 When I send the card, I will decorate the rosette with a button or gem, or an initial or age, not sure who’d like something this in your face yet. I definitely stepped out of my comfort zone with little bits of bling as an accent. Challenge completed! This entry was posted in cards, craft on May 5, 2017 by Isn't She Crafty. 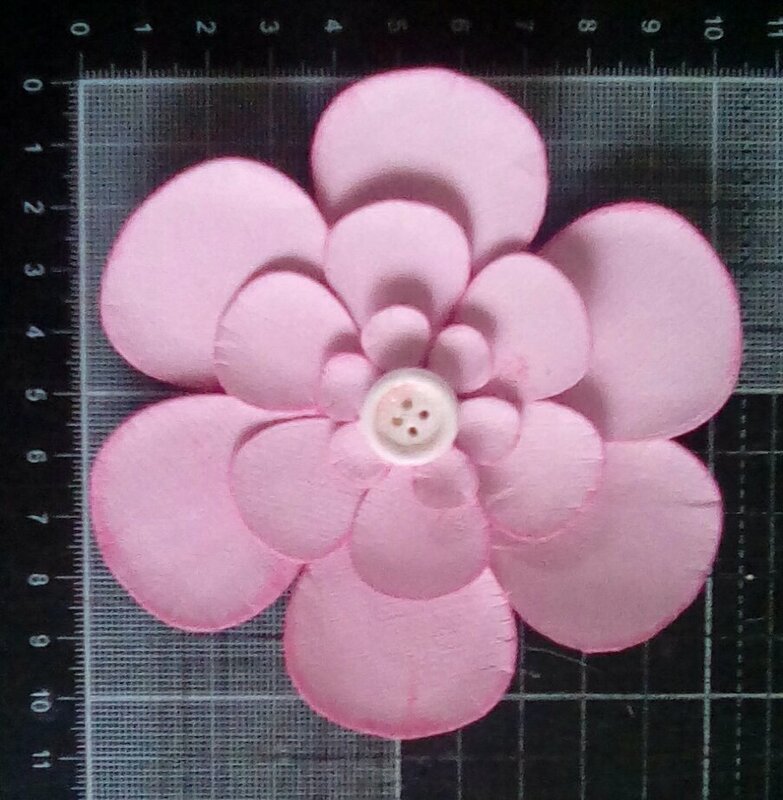 Having taken a leaf from Idle Emma’s book and joined a swapping site, I find myself having international post to send, which whilst exciting is proving expensive, especially due to my tendency to add bows, buttons and other bulky embellishments. Today’s card was a personal challenge. 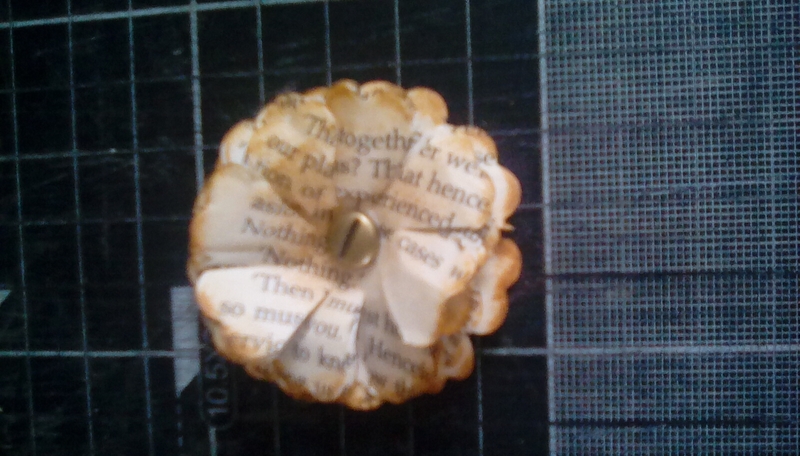 Make something I like but which has no embellishments, one layer only. 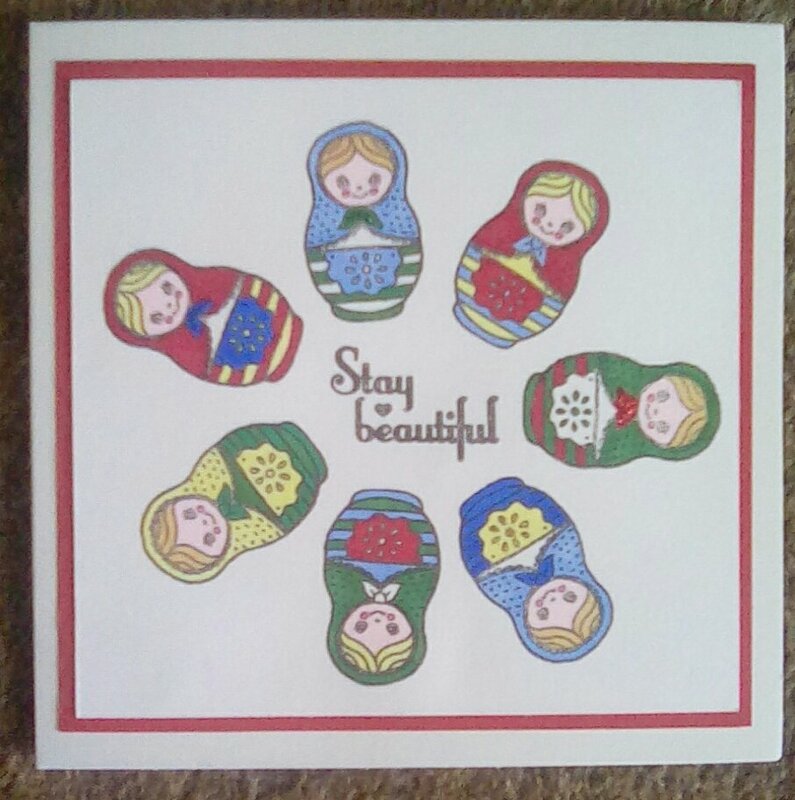 I used my Hunkydory For the Love of Stamps Babushka dolls, picking the ‘stay beautiful’ sentiment because I thought it was sweet, especially for someone who is essentially a stranger. I didn’t have any idea at first of how I wanted the card to look, but I’d chosen a 5×5 card blank which helped my layout. The sentiment seemed best central, and I needed to make it pop without lots of matting and layering which is how I’d usually make it obvious. Hmmmm. I tried laying different size dolls around the sentiment but didn’t like the look, too haphazard without the attractiveness of being random. 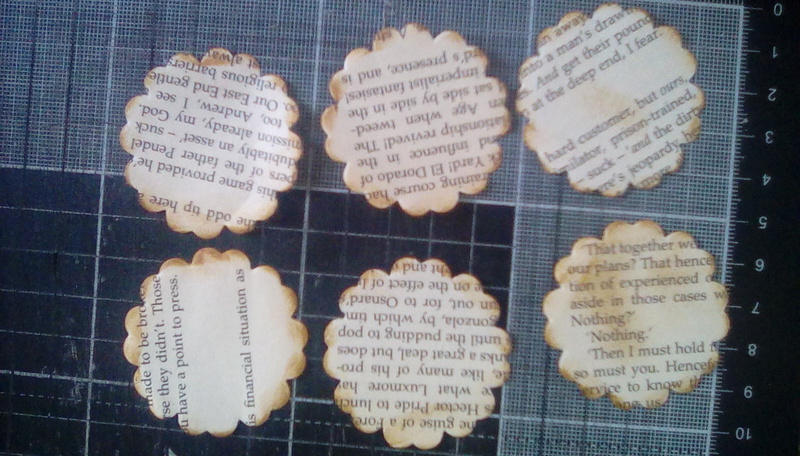 Then I thought I’d try a sun style layout, with lots of the same size doll forming a circle around the sentiment. I like this, but if I do it again I’ll measure to try to get an element of symmetry, there’s differing size gaps between the dolls. Because the layout of dolls isn’t symmetrical, I decided to make the colouring different across each, White was easier said than done! I wanted to keep a fairly small, simple colour scheme, but found I was tending to too high a concentration of the same colours in the same area, resulting in me using white to dilute the colour concentration. I layered my card front onto red card and attached it to the card front, then looked at my handiwork and thought it’s a bit flat (yes, Michelle, that was the point! 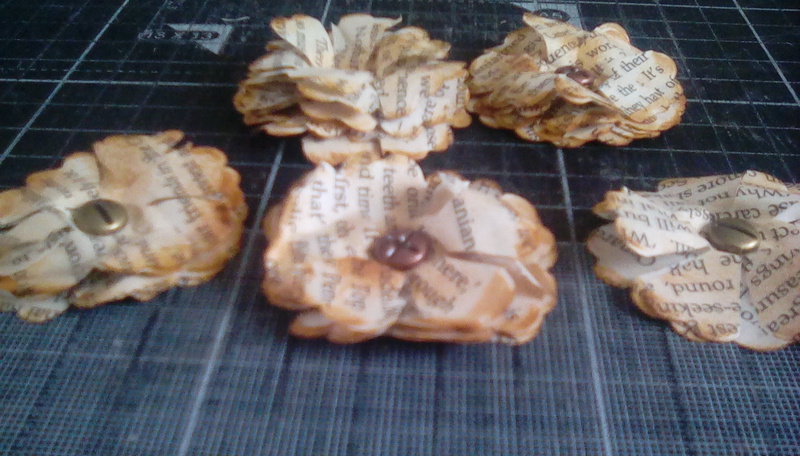 ), so added a touch of glitter glue to some of the Babushka’s bows. What do you think? I did manage single layer, ish, but in my defense ii couldn’t have used my spectrum noirs directly onto the card blank as they’d bleed through, and my pencils are a bit subdued for this subject. 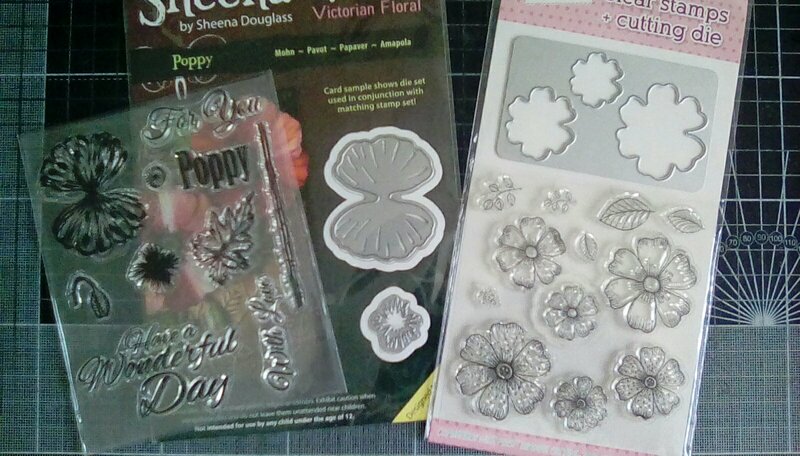 This entry was posted in cards, craft on May 1, 2017 by Isn't She Crafty.